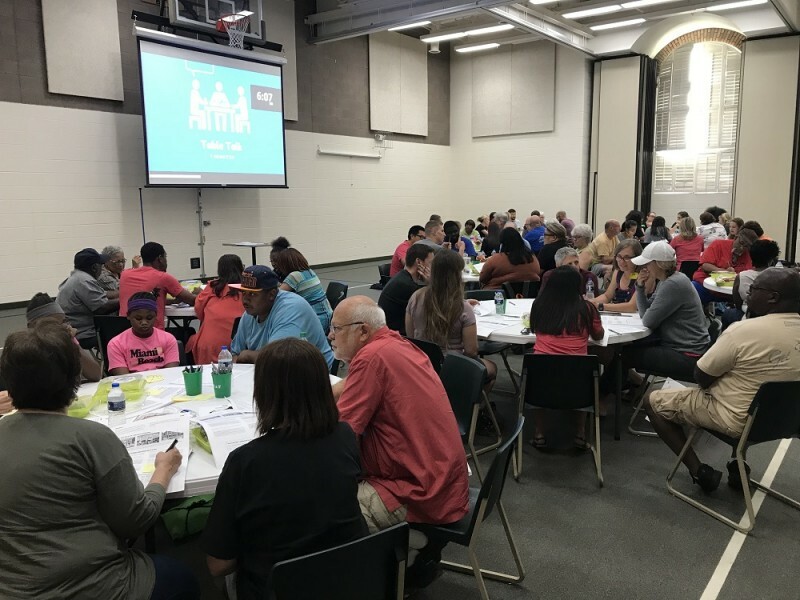 Last week, Public Agency at West Michigan Center for Arts + Technology (WMCAT) hosted a series of community listening sessions to gather community feedback on four amendments within the Housing NOW! recommendations. 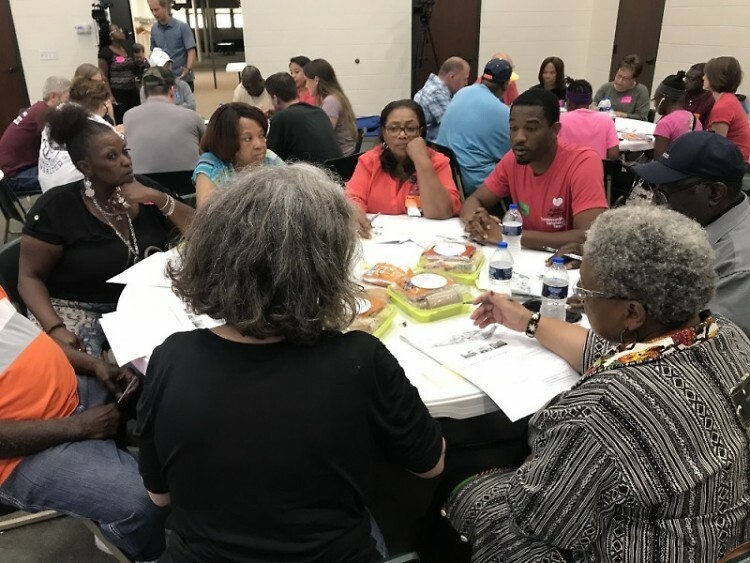 Last week, Public Agency at West Michigan Center for Arts + Technology (WMCAT) hosted a series of community listening sessions to gather community feedback on four amendments within the Housing NOW! recommendations. Sessions were hosted at The Other Way Ministries, the Revel Center, the Salvation Kroc Center, and Neland Church. Sessions averaged 70 attendees across race, age, socioeconomic backgrounds, and neighborhood representation. The goal of these sessions was to elevate resident voice so that City Commissioners were able to make a more informed decision on whether or not to pass these four amendments. To understand the importance of these conversations for the future of our City, we must first understand how we got to this point. Grand Rapids is faced with a housing crisis. As the city’s population grows and housing costs rise, many residents have been displaced. While this looks different across neighborhoods, those with high populations of people of color and low income residents have felt this impact the greatest. 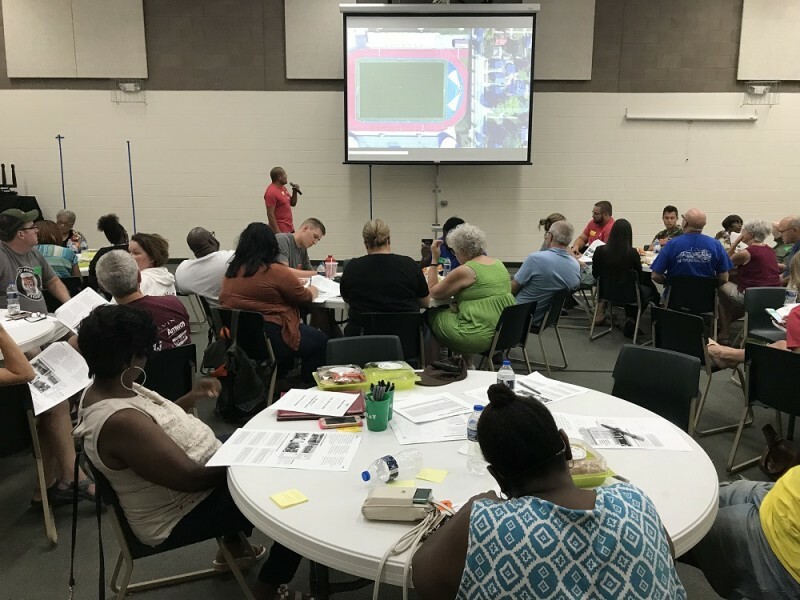 In 2015, faced with pressure from groups of concerned residents, the City of Grand Rapids put together Great Housing Strategies, a community planning initiative comprised of three city commissioners and more than 200 residents. Out of this work, the City adopted the recommended eight goals and 35 actions rooted in land use and zoning; housing finance; economic and workforce development; and low-income and vulnerable populations. From there, Mayor Rosalynn Bliss appointed the Housing Advisory Committee in 2016 to implement these recommendations. The Housing Advisory Committee proposed 11 zoning amendments packaged as Housing NOW!. To date, the City Commission has passed seven of the amendments, however four have been tabled pending further feedback from the community. Amendments 3, 6, 8, and 9 include zoning changes to increase housing supply and are focused on multifamily housing; density bonus incentives for affordable housing; accessory dwelling units; and non-condo, zero lot line developments respectively. While the conversation surrounding Housing NOW! has focused on housing and zoning, it has also focused on equitable community engagement. During past City Commission meetings and other community engagements, residents expressed that the process was not transparent enough, the amendments were not explained clearly enough, and there was not enough opportunity for resident input. Due to growing discontent, the City contracted Public Agency to host further community listening. Public Agency is a Design Thinking consultancy within WMCAT that helps organizations foster a culture of equity, action and innovation. Design Thinking is a tool that has long helped people understand and solve complex problems while keeping people at the center, and we believe that when fused with an equity lens it is capable of transforming the way communities move forward. Grand Rapids sits inside a tension alongside every growing metropolitan area. A time of innovation and growth has brought about abundance for some, but also increasing inequity (see Richard Florida’s latest book: The New Urban Crisis). Public Agency seeks to help entities such as our City government navigate this tension while they work to create equitable outcomes for all of our residents. Goals of our work in hosting the community listening sessions involved elevating resident voice in decision making, creating educational formats for residents to understand and speak into the process, and synthesizing the feedback into quantifiable data. This project was led by WMCAT Director of Social Enterprise Adam Weiler and consultants Sergio Cira and LaTarro Traylor. The work was supported by WMCAT staff members Brandy Arnold and Kirk Eklund along with a number of Community Catalysts who served as table hosts and data synthesizers. Each amendment was presented and then each table had an opportunity to discuss and ask questions before finally notating on their handouts if they felt they had enough clarity to make a decision on the amendment and whether or not they supported it. Any additional suggested changes to the amendment and general comments were also notated. All information was collected and is being synthesized for the City’s use. Looking ahead on Housing NOW! Public Agency is still digging into the data from the listening sessions, but will be presenting a comprehensive report to the City Commission in September. Early discussion around the amendments did include suggestions to push any decision making on the four amendments to the master planning process. The City’s last Master Plan was launched in 2002, and the Commissioners are currently discussing timeline for the new Master Plan process. Master Plans typically take two years to complete. Residents who were not able to attend the listening sessions can still make their voice heard through an online survey or by attending City Commission meetings and speaking during public comment.